It might be a case that you don’t even think about the spacers when your orthodontist recommend you braces. But it’s the part of treatment that an orthodontist use them in order to prepare the back molar teeth for the fitting of braces in the near future. Separators are required before placing orthodontic molar bands. It is a fact that our back teeth are far more close together as the teeth on front. By placing separators between the back teeth, your doctor can comfortably fit your molar bands at your next appointment. The separators may feel quite irritating because food is used to stuck between your teeth. A sign that separators are is feeling some tenderness or sensitivity in the area where the separators are placed. This tenderness will not last for longer but it is only for a few days. Any discomfort or soreness can be relieved with pain-reliver. In your very first appointment after your detailed checkup, the separators are installed and they need to be in place for a few days to do their job. After a few days, the separators may create enough space between your back teeth. An indication of that they have created enough room is that they fall out on their own. It’s pretty important to take care of hygiene while separators are in your mouth. Brush your teeth with the separators in. However, do not floss between the teeth that have separators. Other then the very first days, you may eat normally with the separators in. What you should avoid is chewing gum and eating sticky foods, since they may cause your separators fall out prematurely. Under most conditions, you need to keep them no longer than one week. Most individuals experience diminished discomfort after the first two days of wearing separators, however some may feel discomfort for up to a week after the fitting. To make fit the braces to your teeth, the back molars shouldn’t not too tightly set against one another. The braces will be working to gradually move and properly align your teeth. During the normal working process of braces, the back molars, if too close together, may cause resistance to movement of teeth. Too tight back molars can also encourage cavity development and alter a person’s “bite”, or the way that the top and bottom teeth meet when placed in a biting position. 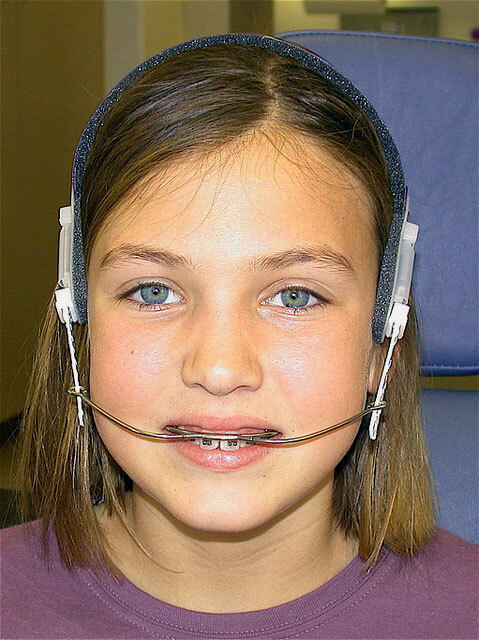 Orthodontic separators are fitted between the last three teeth on each side of the mouth. The main purpose of separators is to make space between these teeth prior to having braces fitted. The process of fitting spacers between the molar teeth is very simple. But for some patients, the process itself as well as its aftereffects are uncomfortable. Intensity of pain is highly individual because if you have tightly-set molars, you may experience increased discomfort because the separators have more work to do in creating a sufficient gap between these cramped teeth. Your orthodontist will stretch the elastic spacer until it is thin enough to insert between two teeth. 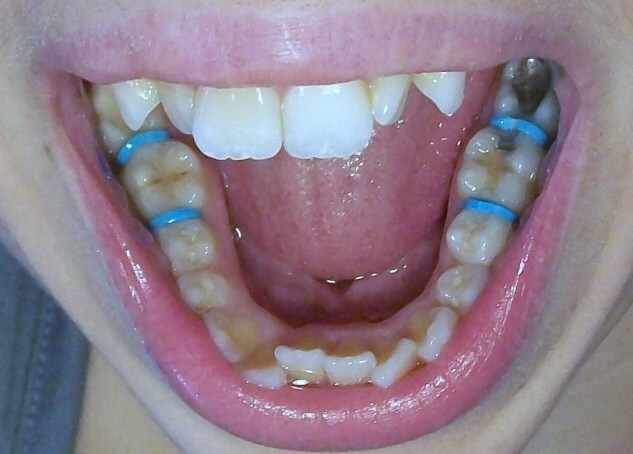 The orthodontist will release the band once he find the correct position for the spacer, usually at the bottom of the spacer rests just above the gum line. For some, the process of fitting separators for braces is completely painless. But right after the fitting, soreness in the jaw is not uncommon which results from the force that is applied to the jaw during the fitting. Initially, it causes sense of pressure between the teeth and sometimes against the gums which can vary from a minor annoyance to a toothache-like sensation. The pain or discomfort caused by spacers may be managed by using a combination of pain medication and dietary changes. The pain can most often be managed using common painkillers like Ibuprofen, Acetaminophen, and Naproxen. Take some diet that don’t need to be chewed hard. Biting down with a lot of force can increase your discomfort level as your teeth are already under a fair amount of stress, therefore just avoid to do it. Do not chew tough or hard foods as they can also increase your discomfort. Go for soft foods like mashed potatoes, yogurt, and hot cereal. Such food can help to minimize irritation caused by chewing. Just avoid sticky foods like toffees, chewing gum, caramel, and gummy candy because these foods can stick to the spacer material and pull them out of place.